Lisa Mcsauby is a Realtor in Northern Michigan who specializes in working with first time home buyers. She truly cares and understands the needs of her client's and always has their best interest at heart. She takes great pride in providing her buyers with a smooth and pleasant experience and is always very attentive and involved in their needs from start to finish. Member of Women’s Council of Realtors and active Chair person for 2018 Bras’s for a Cause Non Profit Charity event. Lisa cares deeply and is very involved in her community, from her volunteer work in the National Cherry Festival, to Cedar Polka Festival, Bra's for a Cause, Salvation Army and more. Every market is different so you need a local expert agent who knows the area and can keep you informed of current market conditions. With a combined 20+ years of experience, we know our market. Whether your looking to buy or sell - Team Lisa is the obvious choice for all of you Northern Michigan Real Estate needs. Bought a home in 2018 in Beulah, MI 49617. Lisa was a pleasure to work with throughout the home search and buying process. Lisa is very knowledgeable, understanding, and patient. She had a good understanding of what we were looking for. We really appreciated Lisa's friendliness and professionalism. Hopefully we won't be buying another place anytime soon but we would definitely work with Lisa again. Bought a Single Family home in 2018 for approximately $175K in Buckley, MI. Lisa is amazing she helped us find our home and she was very efficient and told us right away when there was a new house on the market she is very knowledgeable in her job! Awesome and best realtor!! Bought a Single Family home in 2018 for approximately $200K in Traverse City, MI. Thank you Pat & Carole! It truly was a fun & pleasant experience. I am so happy for the both of you and while I'm going miss showing houses to you, I'm glad we were able to find what you were looking for. Best of luck to you both, hope your very happy there for years to come! Please stay in touch, and dont hesitate to reach out if there is ever anything I can help with. Bought a Single Family home in 2017 for approximately $100K in Harrietta, MI. Lisa was fantastic to work with. Lisa took us out to look at multiple properties before we found one that was perfect to my needs. Then she worked very closely with me all the way through the buying process for my first home. She was very responsive if I needed to ask a question and was very willing to work with the seller's agent to get any information that was needed throughout the process. If you are looking for a highly qualified buyers agent who really cares that you find the home that is right for you, Lisa is the agent for you. Showed home in 2017 in Grand Traverse County, MI. Lisa was wonderful! Super responsive on every email, text and phone call from me. Answered all of my questions. And was very understanding of my situation. I always felt as though Lisa was looking out for me and my daughter; she understood exactly what I was looking for and had our best interests at heart. When asked, she gave her honest opinion of places we looked at and offers that I made. She pointed out good things and bad things that a first-time home buyer (like me) wouldn't normally have paid any attention to. Super patient with me and all of my questions, and working around our crazy schedules. Fantastic realtor! Caring and warm human being. Thanks Lisa! Bought a Single Family home in 2017 for approximately $125K in Thompsonville, MI. Lisa was very responsive to helping us find what we were looking for in our comfort range for price and location. She was always very prompt in responding to questions and finding an answer if she did not already have it. We would definitely recommend Lisa to anyone looking for Real Estate services. Showed home in 2017 in Central, Traverse City, MI 49684. Showed home in 2017 in Traverse City, MI 49685. She was showing an open house, she was amazing! Went above and beyond for us, all while knowing we already have a family member who is a realtor. She still was super helpful getting us information that we had requested. She got back to us right away. She’s on the ball with things, super smart, and very friendly. Bought a Single Family home in 2017 for approximately $100K in Grawn, MI. Lisa was extremely helpful and patient while I was looking for a home to purchase. She answered my phone calls promptly and showed me all the different homes I was interested in. Very friendly and personable. I can't say enough good things about Lisa, she was absolutely Wonderful to work with! Bought a Single Family home in 2017 for approximately $125K in Grawn, MI. After initally starting this process on my own Lisa made the process of buying a home seem like a breeze with her constant contact and keeping me informed every step of the way. Lisa was always easy to get ahold of, knowledgable and quick to come up with a solution before any potential problems could arise. She was very patient and went above and beyond to make this a stress free transaction. 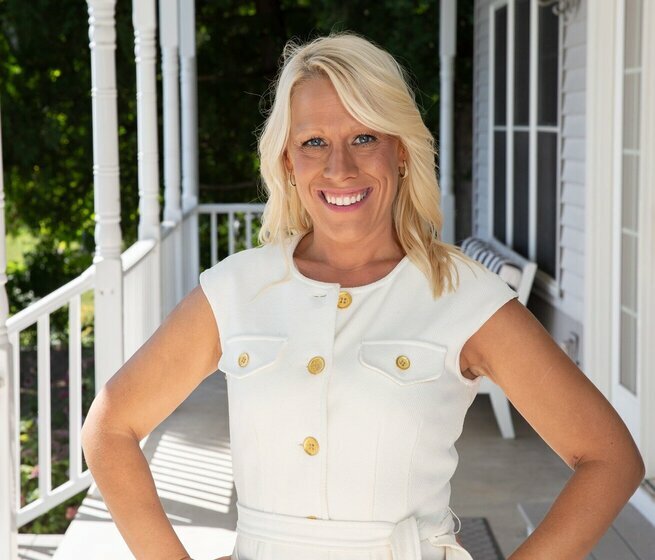 I have personally recommended Lisa to family and friends of mine and would highly recommend her to anyone looking for a great real estate agent.